KING OF THE BELGIANS is one of the four comedies nominated for EFA 2017! European Film Academy and EFA Productions announced the nominations for the award category European Comedy 2017. We are very excited that the co-production between Belgium, Netherlands and Bulgaria “KING OF THE BELGIANS” which opened the 21 Sofia Internationa Film Festival will compete for European Film Award at the official ceremony on 9 December in Berlin. The other three nominees are the provocative “THE SQUARE” by Ruben Ostlund (Sweden, Germany, France, Denmark) which won the Palme d’Ór in Cannes in May, “VINCENT AND THE END OF THE WORLD” by Christophe van Rompaey (Belgium, France) and “WELCOME TO GERMANY” by Simon Verhoeven (Germany). In next weeks over 3000 members of the European Film Academy will vote for the films that according to them - deserve a nomination in the diverse categories - for European Film, Director, Actor, Actress, Scriptwriter. More nominations will be announced on 4 November at the European Film Festival in Seville, Spain. 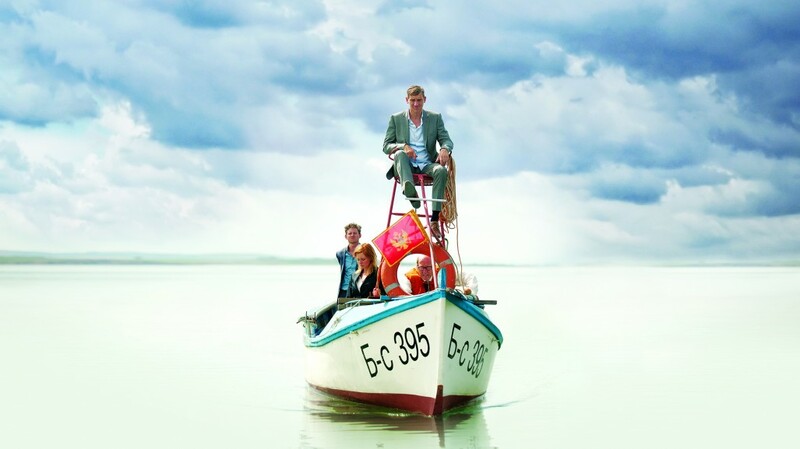 “KING OF THE BELGIANS” by Jessica Woodworth and Peter Brosens won film awards in Odessa, Rotterdam, San Jose and Ostend. The film's world premiere was at the 73-rd Venice Film Festival in 2016. From September 2016 till now the film participated with great success in different programmes of almost 20 festivals around the world, including Bussan, Palm Springs, Sao Paulo, Thessaloniki, Dubai, Tallinn. "King of the Belgians" is a production of Bo Films in co-production with Entre Chien et Loup (Belgium), Topkapi Films (The Netherlands) and Art Fest (Bulgaria). Director of Photography is Ton Peters, Production Designer is Sabia Christova, Costumes - Eka Bichinashvili (Bulgaria), the Make-up artist is Petia Simeonova, Director of Sound is Michel Schöpping and the editor is David Verdurme. Line producers are Nadejda Koseva & Svetla Tsotsorkova ("Front Film"). The film received support from the Flanders Audiovisual Fund (VAF), Flanders Image, Netherlands Film Fund, Netherlands Film Production Incentive, Eurimages, Bulgarian National Film Center, Centre du Cinéma et de l’Audiovisuel de la Fédération Wallonie-Bruxelles, Screen Flanders, Belgian Federal Government Tax Shelter, Casa Kafka Pictures, Casa Kafka Pictures Movie Tax Shelter empowered by Belfius and the Media Programme of the European Union.